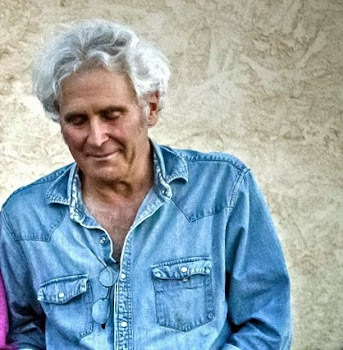 One of my oldest and best friends, Roberts French, died in Santa Fe a few days ago. I believe he was 84. He survived a year longer than the docs gave him, but the cancer finally wore him down. When I first met Bob and Jenny, in the early seventies at U Mass, Amherst, he was a young English prof and I an eccentric older student. (Jenny was even then a serious painter, as she still is).We soon both found ourselves on the board of English Literary Renaissance, a job for which I was not even remotely qualified for. Nevertheless, under the guidance of Arthur Kinney and Bob I became a somewhat competent nuts and bolts editor. The high point of my job was asking Philip Larkin to write something for our Marvell anniversary edition. (They had both been librarian of Hull). He was perfectly pleasant and wrote us an essay, but as I said to Bob many times, if I had known of his reputation I would not have dared to call him. Bob was the only other ourdoorsman on the staff -- a flyfisher and mountaineer, thus we gravitated toward each other. When he showed me some wonderful fishing poems he had written, I immediately bought them for Gray's Sporting Journal for more money than poems were going for then.This gave rise to a comedy routine which we performed to the end of his days. I would say "I bought Bob's first poem"; he would say "No, you didn't.You bought my second and third poem. My first went to an academic review for seventy-five cents; then you bought the second and third for five hundred dollars." Improbably, when I first started seeing Libby, she had a friend named Muffy Corbet Moore in Wyoming, who turned out to be Bob's sister. 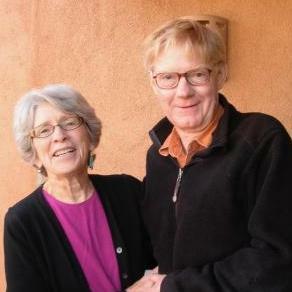 Bob and Jenny had retired to Santa Fe and very shortly became our best friends in Santa Fe and virtually in the state. They brought provisions to Libby's mother's funeral where we were stressed by being the only family members present because of the suddenness of the death. Bob and Jenny always knew the right things to do. Sometime I'll tell here what she said to my mother after taking that mad woman over for three days during Jackson and Niki's wedding celebration. Suffice to say now, it reduced my mother to horror and laughter at the same time. Today, with Bob barely gone, Jenny was worried about getting a chair I could sleep in down to Magdalena. Need I say that I love these people? A colleague wrote of him: "To me, Bob French epitomized the best of the academic profession. He genuinely cared -- about everything and everybody. I kept hearing how his students worshipped him; he was an ideal colleague; whenever things got tough at UMass, and they often did in those early building years, there was Bob, shoulder to the wheel. Roberts W. French led an exemplary life from which we can all learn. I am diminished and profoundly saddened at his loss." and light is flashed to sudden brightness. as gentle as a hand on shining hair. he draws the mountains into a circle. to see him fishing, fishing. about his beard a bright cigar.